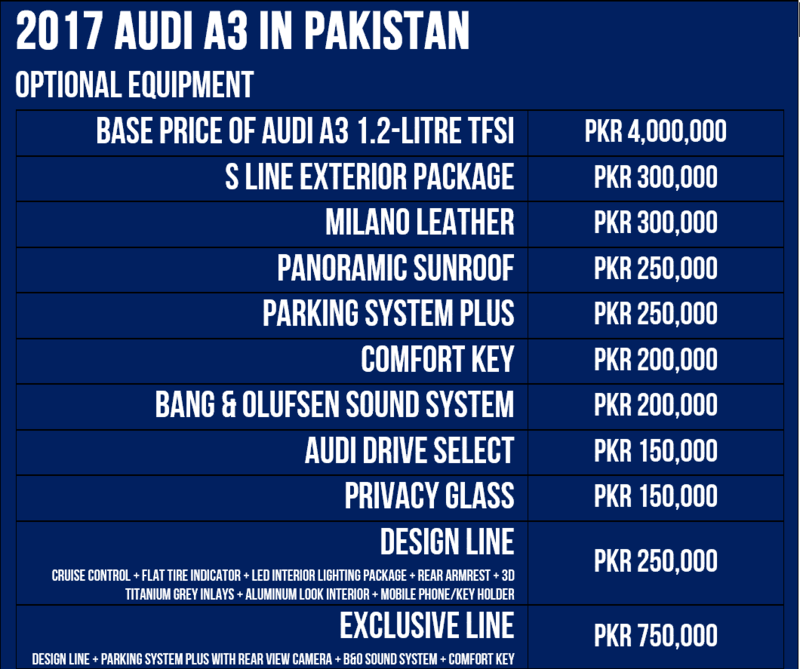 Audi had been looking to further extend their outreach in the Asian market and they have taken the initiative by announcing that bookings for 2017 A3 facelift are now open in Pakistan. 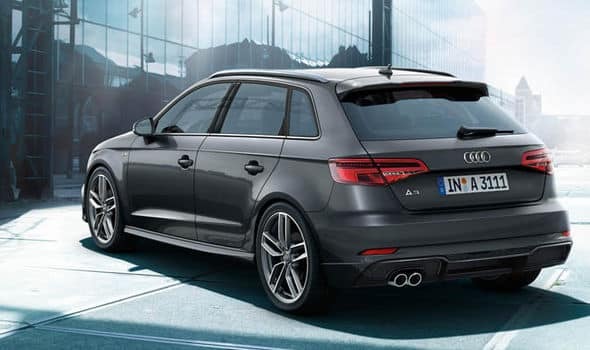 Thanks to Audi’s evolutionary approach rather than a revolutionary one, the A3 is much similar to the latest A4 from the outside but with more advanced technology on the inside. Across the world, 950,000 of the current generation A3 have been showcased. First glance, the A3 looks much more compact. The exterior modifications are subtle, but combine to present a much more purposeful look. The most obvious change in the design is perhaps the inclusion of wider front grille, redesigned rear air diffuser and Xenon headlights (Matrix LED headlights are also available). 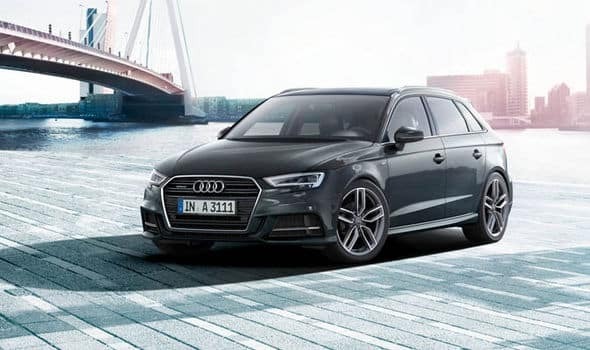 The A3 packs a choice of four turbo-petrol and three turbo-diesel engines plus a further turbo-petrol e-tron electric hybrid version with a 75kw electric motor. 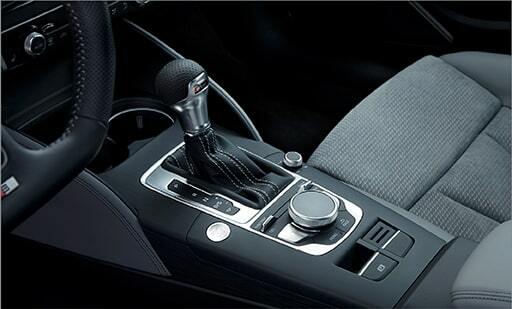 New, cylinder-on-demand technology, has also been integrated in this model which allows the car to carry two cylinders but with a lighter load. 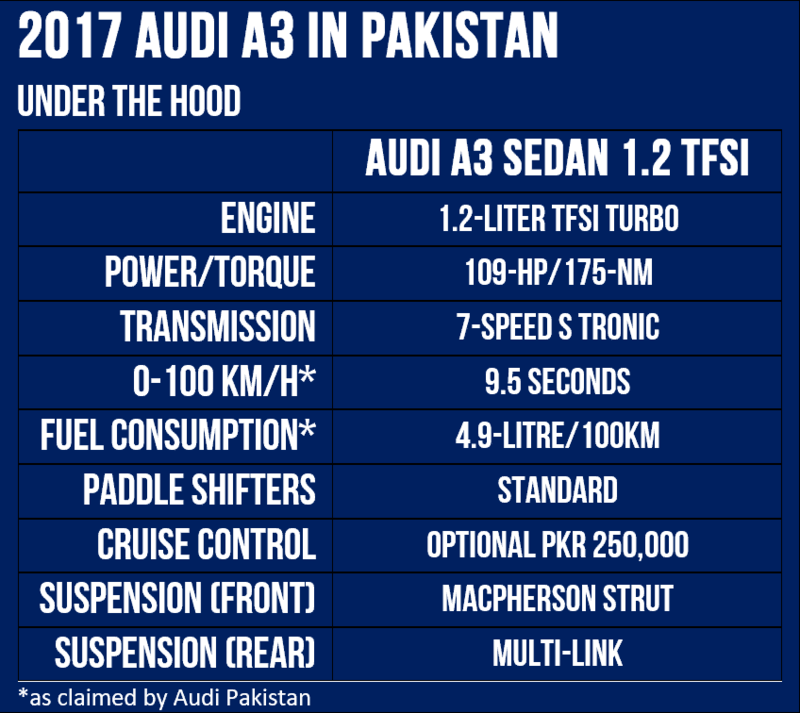 Due to this, the new petrol range features 115bhp three-cylinder 1.0-litre engine, which replaces the old 1.2 and the 150bhp 1.4-litre. I got two for myself ? Not bad for 4 million.